Time for another #SGSwatchFest and since it's Saint Patrick's Day, it was decided that this shall be the theme for the swatch fest. Saint Patrick's Day also known as the Feast of Saint Patrick is a cultural and religion holiday celebrated on 17th March. 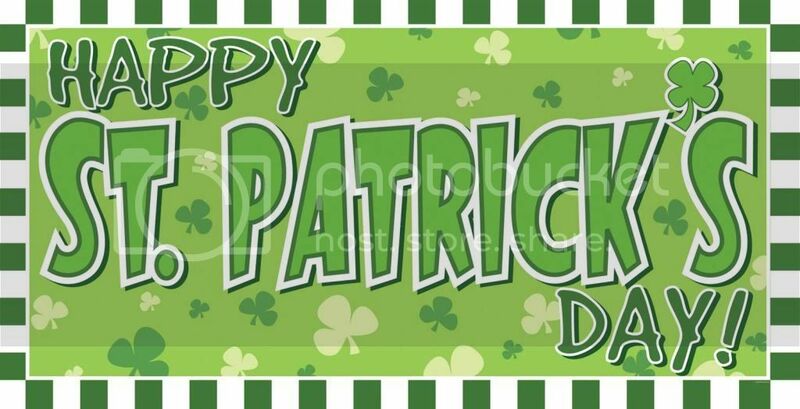 To commemorate Saint Patrick and the arrival of Christianity in Ireland, Saint Patrick's Day was made an official Christian feast day in the early 17th century. Celebrations generally involves public parade and festivals and the wearing of green attire or shamrocks. Since green is the official color for Saint Patrick's Day, and after going through my stash of limited green polishes, I found China Glaze Four Leaf Clover which I have never used despite having it for so long. 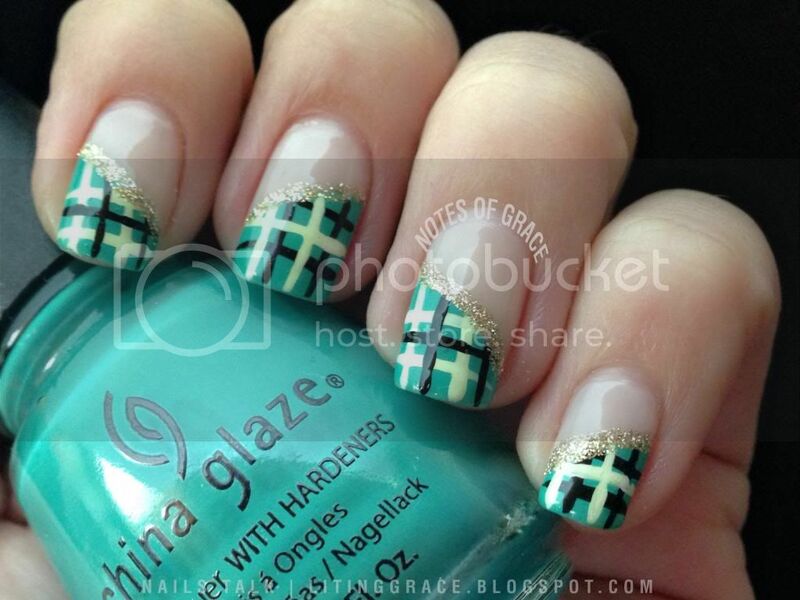 Rather than just paint on the color, I decided to create a set of plaid nails to celebrate this joyous occasion. For the base color, I chose OPI You Callin' Me a Lyre (two coats) followed by painting the tips (freehand) with China Glaze Four Leaf Clover (two coats). Black and white nail art strippers were used to create the plaids after which I added China Glaze I'm Not Lion to give it a glittery effect. I finished off the design with two coats of Seche Vite top coat to give it a smooth and glossy finish. When I first thought of this design, I wasn't sure if I would like the effect since I had never done it before. And even though it's my first attempt, I'm actually quite pleased with the end results plus it's really easy to create. 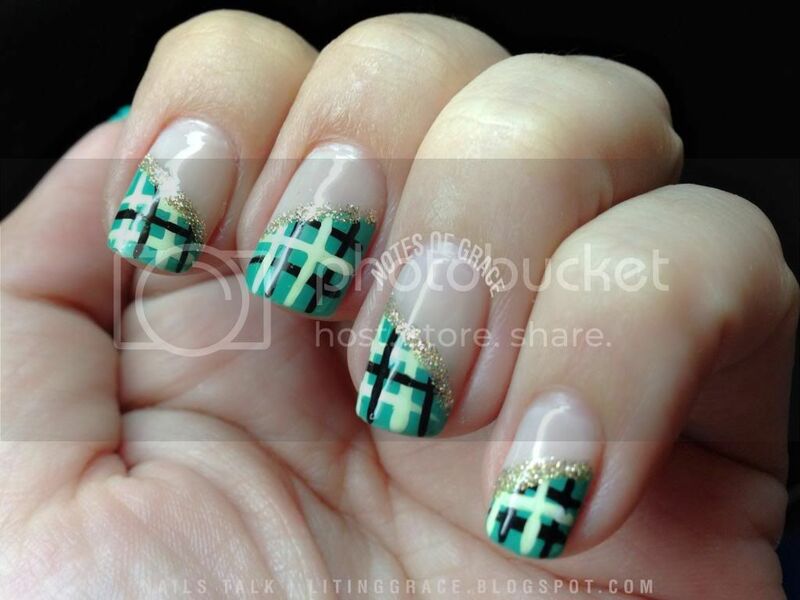 Meantime, do also check out #SGSwatchFest on Instagram and Twitter for my fellow polish-holics' posts on their Saint Patrick's Day nails.